An all-around outstanding flatbed, breaking through any challenge or obstacle in its path. 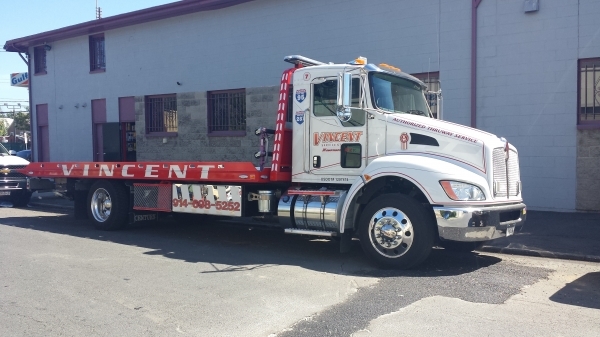 With a heavier duty bed than most other flatbeds, this Kenworth can handle much bigger vehicles and machines. Not only is the truck able to winch vehicles from the accident scenes, but it's also rigged with a massive hydraulic winch located on the deck making this the ideal flatbed for any automotive or construction job.